I enjoy using Kickstarter although in the past few months I have had to basically stop funding things because I was spending way too much money on the website. However, I have made an exception to my, "Don't buy anything on Kickstarter" rule for two projects that are just looking awesome. 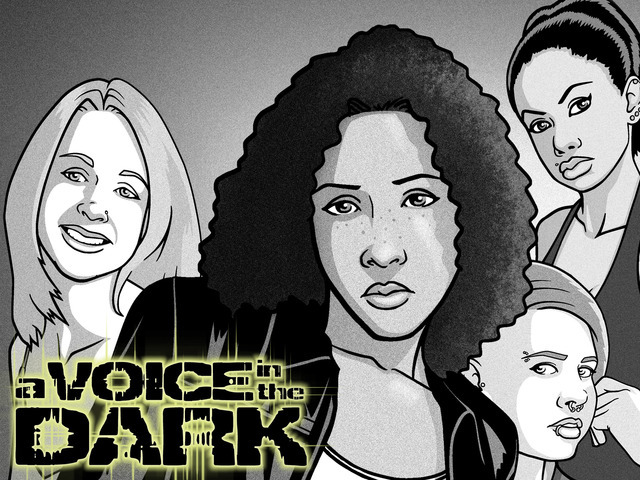 Read on to hear about an interesting comic and fun-sounding game. Larime Taylor ran a successful Kickstarter for this first volume of this series which is out now digitally to backers with a printed trade coming soon. In a smart move by him there are tiers for this project that make it so those new to his series can get those earlier issues too in addition to these. Why should you back this though? Let's discuss. When I saw Taylor list Warren Ellis' "Fell" as an inspiration for his first Kickstarted comic he immediately had my money. Then he discussed how it was a comic about a woman who was basically normal except for the fact she was a serial killer that had to hide that dark secret and his noir-ish story had me excited. Plus, it helped that the art is quite nice too. I mention the art for two reasons: The first is that oftentimes independent comics can have pretty questionable art because even though the person doing the comics may be a great writer, if you aren't a huge-name having quality art can be too expensive. Taylor does his own art though and is good at it so that's a plus. The other reason I mention the art is that he does all the penciling, digital-inking, lettering, etc. by mouth. You heard me right, mouth. Taylor doesn't do his drawing-by-mouth as some sort of weird publicity-garnering stunt, it is because he has a disability that makes drawing by hand impossible. He hasn't let that stop him though so the very fact he can draw by mouth is impressive, and how it looks better than most independent comic-book art is just stellar too. This 2nd volume of his comic will be published in physical form by a company Taylor cannot yet name, but those copies won't be out for some time and by getting this 2nd volume digitally you will be able to enjoy the story sooner and get some perks. Check out the Kickstarter for Volume 2 of his series here! 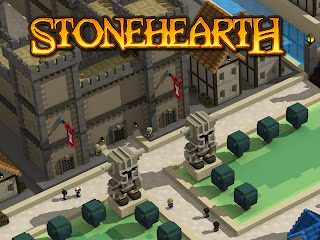 A "sandbox (open world)" game where you build a village, fight creatures, and otherwise have fun exploring, plus it looks adorable with its Minecraft-inspired graphics? This sounds like it was made just for me! Between the crafting, farming, and combat that this Kickstarter boasts, I am quite excited to give this a try. Plus, it will be fully moddable so people will have no trouble making the game even more fun with various alterations. I also enjoy games where I can build a city and having the ability to level-up characters whilst making the mini-metropolis of my dreams sounds like a gas. You can get a digital copy of the game for only 15 dollars but pony up 30 smackers and you'll enjoy beta access and a cute cat companion. If you are a fan of city-building, strategy games, or survival simulations this should be right up your alley. I'm quite eager to play this! See all about Stonehearth at its Kickstarter page here. There you have it, two Kickstarter campaigns that I feel look worth supporting. If you know of any others that look cool please tell me as I'm always happy to talk about fun Kickstarters.